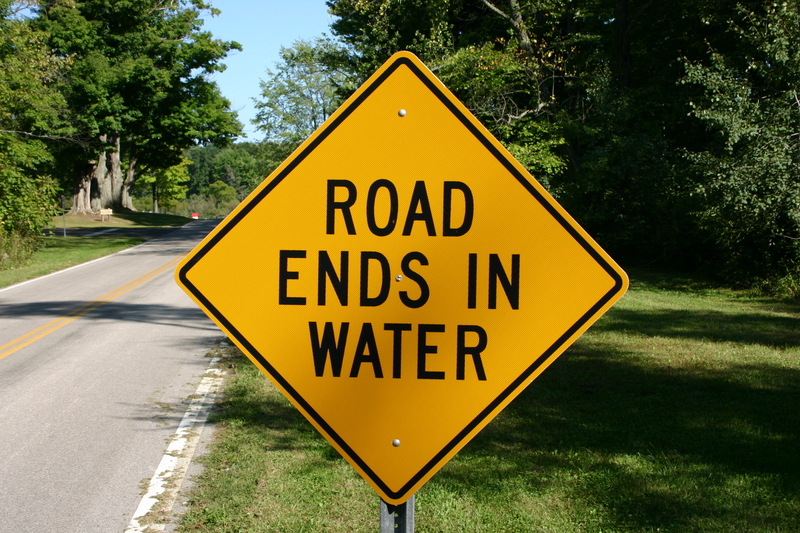 I guess thats better than saying, "Dead End." One of the fun things to do when you are on a “One Tank Trip” is to capture photos of those unexpected, slightly off-kilter, unusual things that we find along the highway on our trip. Starting this week, once a month, we are going to take a look at things that qualify for a spot in “Ohio Oddities”, my book about the odd, unusual and sometimes downright crazy things there are here in Ohio. This month we’re leading off with this amusing oddity, a photo of a brand new road sign, sent to me by Mark Winchell, Executive Director, of the Ashtabula County Convention and Visitor’s Bureau. Mark did not say where the picture was taken, but from what I see I suspect it was near Pymatuning lake in Andover. Once each month we’ll share such photos and prove that Ohio is not only a very special place for travel, but also we have a sense of humor.